There are a number of ways to measure what’s popular in home design. Sales of furnishings and prevalent architectural styles can be a good indicator, and surveys can pinpoint a variety of mainstream tastes. But when people think too much about a sofa purchase or a response to a survey question, all sorts of factors might influence them. Perhaps they consider what’s popular among their peers or in the media, or let budget constraints sway their answers. 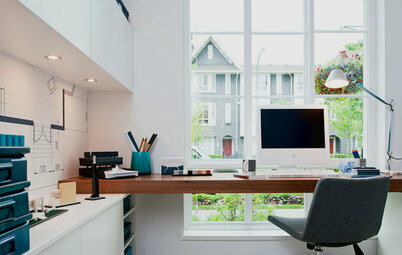 When someone saves a photo on Houzz to an ideabook, though, I imagine a purer action occurs. Browsing photos and clicking Save is a quick-fire gut response to a simple question: Do I like what I see? And so a photo that’s been saved to tens of thousands of ideabooks becomes an interesting indicator of what’s intuitively popular. With that in mind, we put together the 25 most popular photos that were uploaded in 2013. 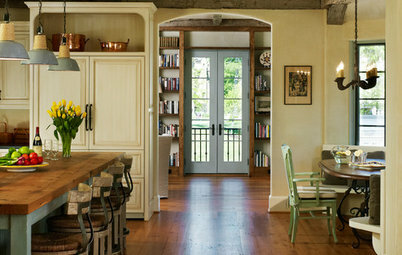 The spaces span all genres and rooms: kitchens, pantries, bathrooms, bedrooms, exteriors, closets and more. Which one grabs your attention most? 1. Voilà! 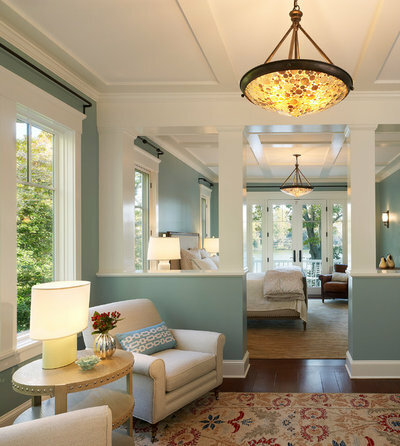 The most saved photo uploaded to Houzz in 2013 is a classy, well-lit bedroom and sitting room with sophisticated paint and decor. 2. 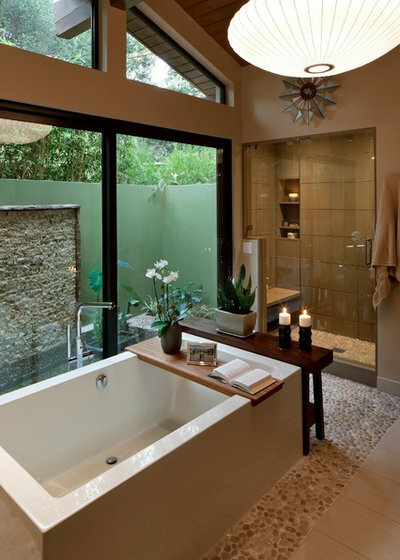 Spa-like bathrooms are common among these top photos. This one, designed by Ashley Campbell Interior Design, features loose river rocks in a lighted channel and a custom bench and door. The floor and shower are vein-cut travertine. 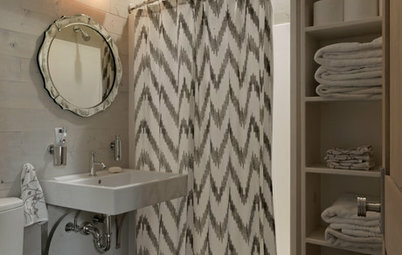 Sable marble tiles cover the wall behind the concrete vanity. 3. Clever ideas in the home always hook readers. 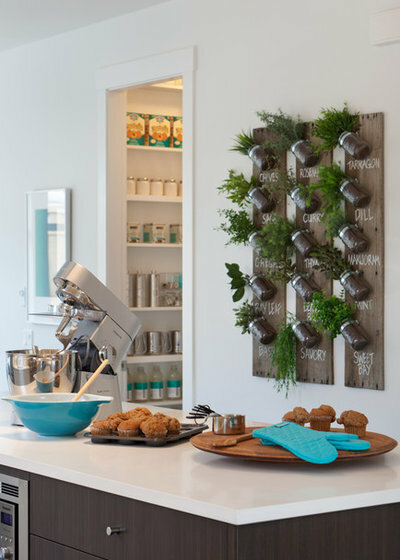 This mason jar herb garden caused quite a stir. 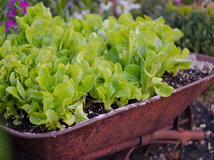 Although it’s just a prop used in this photo, the idea spurred many commenters to offer suggestions on how it could be done. Click on the photo, then scroll through the questions and comments to learn more. 4. Staying organized is at the top of every homeowner’s list, so it’s no surprise that smart storage solutions show up here frequently. 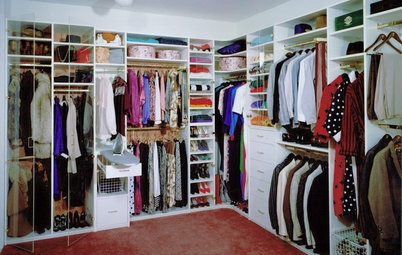 California Closets created this completely custom-designed unit to separate and store bracelets, necklaces, earrings and more. 5. 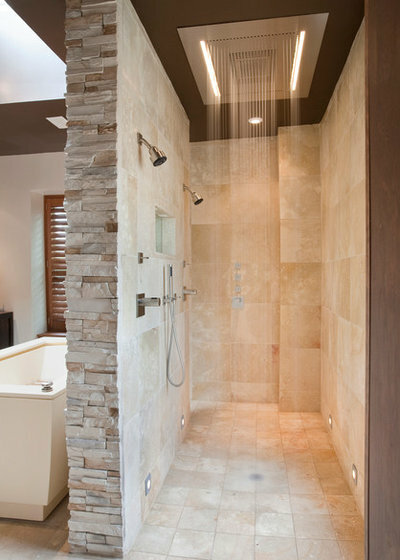 Here’s another spa-like bathroom; this one is covered in Jerusalem Gold honed limestone. But the showstopper is the Hansgrohe rain box that pours water from the 9-foot ceiling. 6. Soft and neutral colors dominate our list’s kitchens. 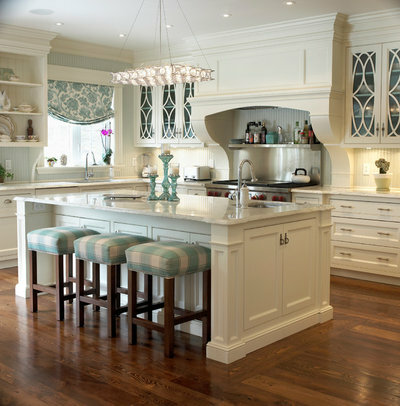 They happen to be what 75 percent of our Houzz survey responders identified as elements of their ideal kitchen. The cabinet paint here is Benjamin Moore’s Timid White OC-39, and the granite is called Princess White. The backsplash is real beadboard, and the floors are reclaimed hemlock. 7. 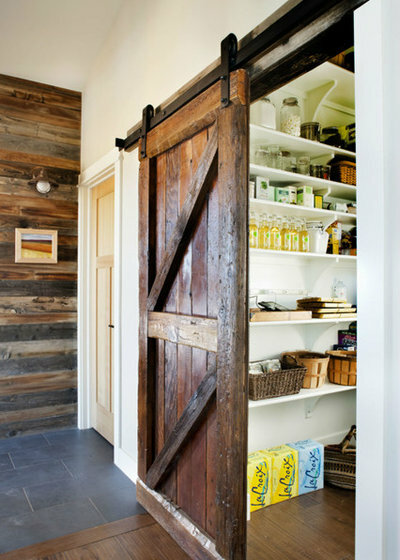 Distressed wood and sliding barn door hardware pop up in the top photos of 2013, too. Lawrence and Gomez Architects custom made and distressed this door for a Colorado client’s mudroom. 8. As with the popular kitchens, readers seem to go gaga over clean, refined, neutral bathrooms. The classic millwork spliced with a 6-inch band of opus strip marble tile delivers the wow factor here. But the original 1920s Tudor window adds to the charm, too. 9. 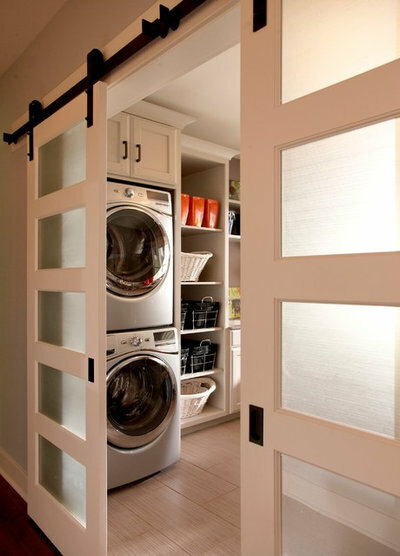 Again, the sliding barn door hardware in this laundry room won over the crowd. The Whirlpool Duets stacked washer and dryer were also a big draw. 10. 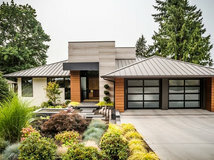 The rich color with beautiful white trim and the inviting interior lighting make this photo the most popular exterior photo of the year, and the 10th most popular overall. Who wouldn’t want to wake up in the morning, walk out onto that private veranda and enjoy the luscious landscape? 11. 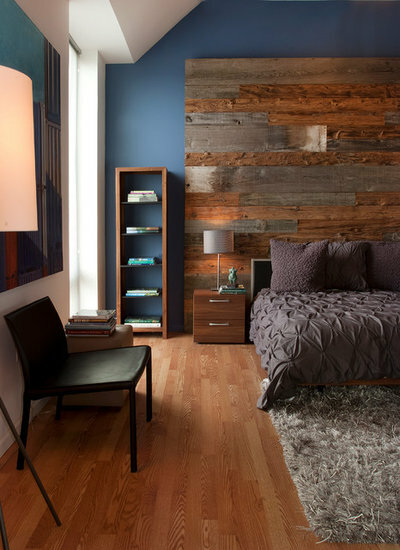 Wood-clad feature walls are a common element in the most saved bedroom photos. This wall is covered in laminate flooring. Set against crisp white walls and gray accent furnishings, it made this image the most popular bedroom photo uploaded by designers in 2013. 12. 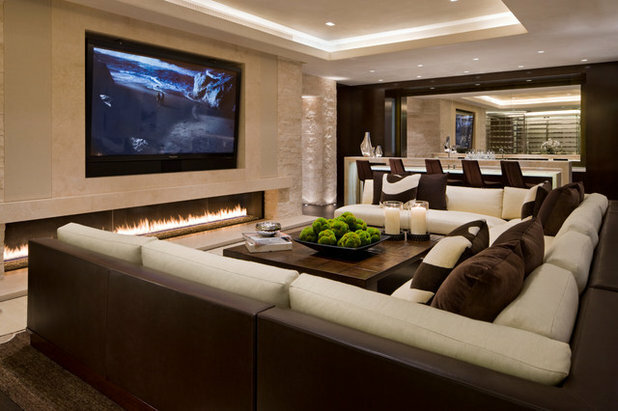 What a place to curl up and watch a movie! A cozy fire feature, a custom-designed sectional sofa, a nearby bar, cove lighting and a tilted 103-inch TV create major appeal. 13. 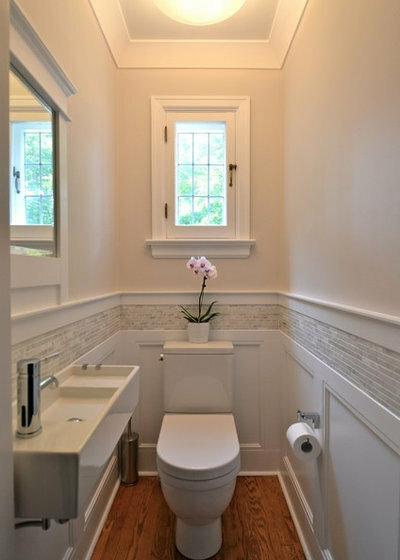 Another clean, neutral bathroom that won over readers. 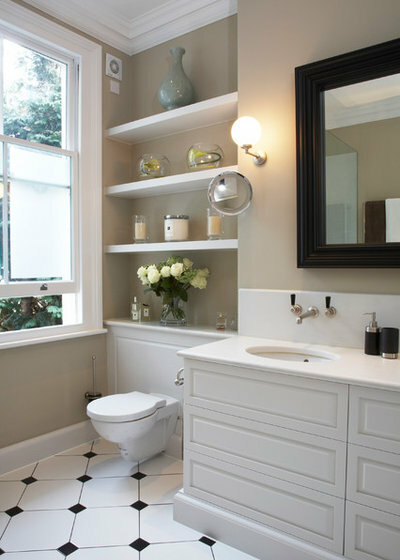 The popular features here are the custom vanity with push-latch drawers, the Duravit toilet with a concealed cistern in the joinery box, white ceramic tiles with black inlay and Farrow & Ball’s Stony Ground wall paint. 14. A sunny spot in a comfy chair is enough to win hearts. But the graphic compilation of white picture frames holding black and white family photos elevates this bedroom sitting area to another level. 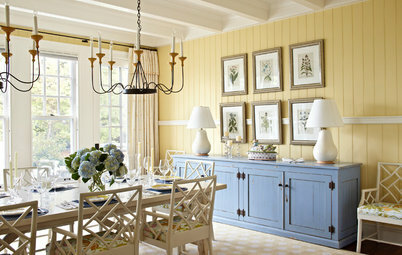 The paint is custom (Benjamin Moore’s Berkshire Beige is similar). 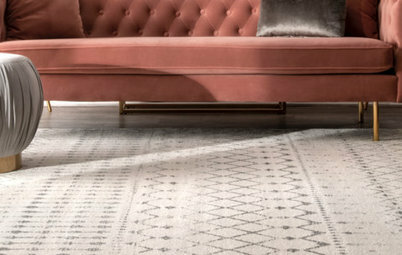 The chair and ottoman are from Dessin Fournir. 15. Functionality is something almost every homeowner wants, and these two spice racks deliver that. 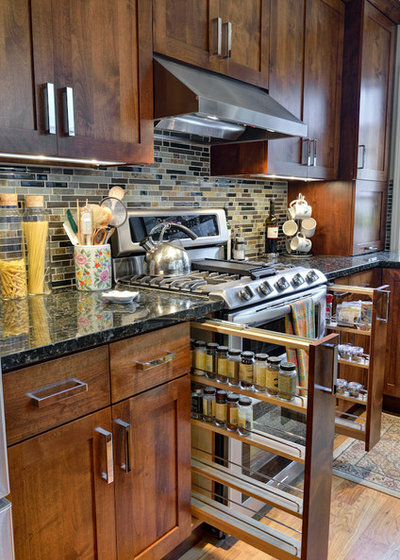 While some worry about the effect of heat on the spices, designer and builder Weidmann Remodeling says a well-insulated cavity surrounding the KitchenAid range and a high-quality cabinet box prevent damage from heat exposure. 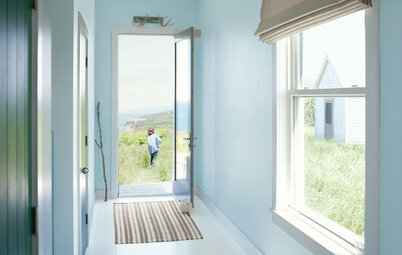 But the clever solution here isn’t the only thing Houzz users responded to. The custom alder cabinets, from Timberland Cabinets, the Verde Butterfly granite countertops and the Daltile mosaic backsplash complete the beautiful design. 16. We all want what’s best for our kids. That’s why this amazing kids’ bedroom is one of the most saved photos of the year. The wood-lined loft stands out, but what pulls everything together is the tree-house-style bucket pulley system for carrying heavy things up top. 17. You don’t have to look hard to see why people like this kitchen photo so much. 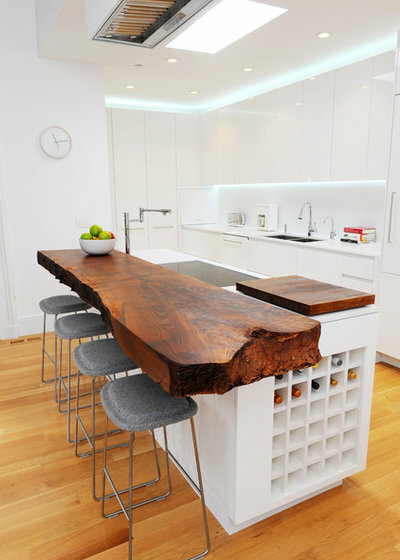 The large rustic wood-slab countertop dominates the modern space, adding warmth, texture and a wow factor. The wood is either redwood or wild cherry, and was purchased at Arborica in Marshall, California. The cabinets were custom made of MDF and finished with a catalytic conversion varnish. 18. 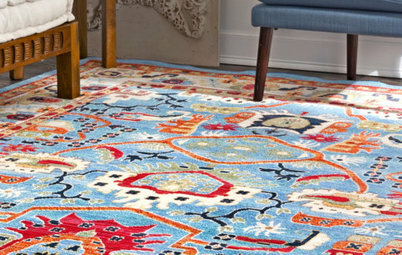 This photo addresses most homeowners’ obsessions with practicality and space-saving tricks. 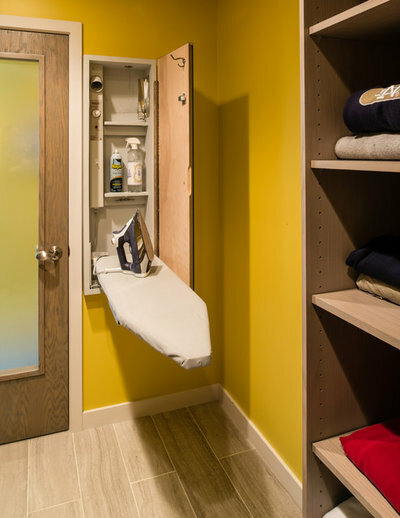 A built-in wall cabinet stores an ironing board, a power outlet, a steam connection and shelves. Plus, the outside of the door is a mirror. 19. 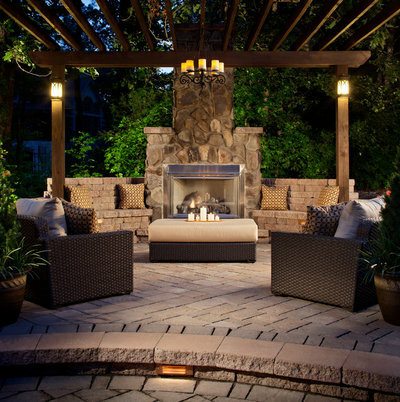 Moody lighting, comfy wicker furniture, a vine-wrapped pergola and a custom fireplace make this the most popular outdoor entertaining space. 20. 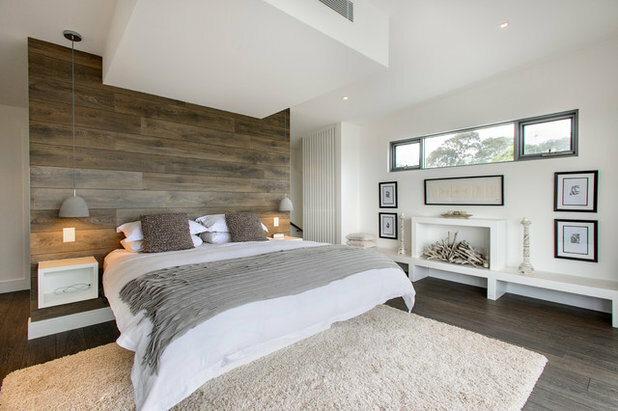 Here’s another bedroom with a great wooden feature wall. But that’s not all this space has going for it. 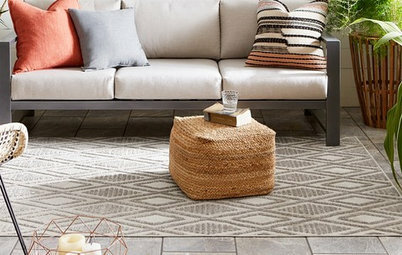 In fact, Houzz users love everything about it. 21. 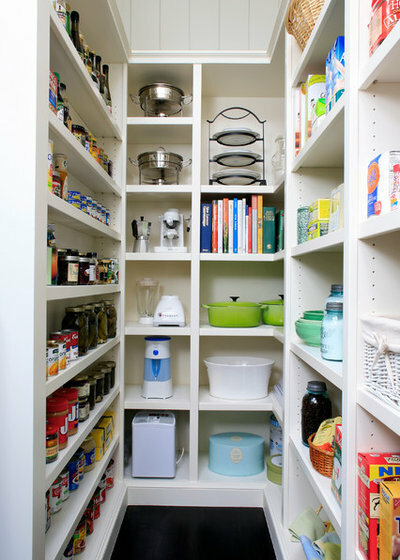 Show me a popular pantry photo on Houzz, and I’ll show you some great storage solutions. We all hate clutter. And while many of us are pretty good at keeping it out of our living spaces, our closets and pantries aren’t usually so lucky. That’s why well-kept spaces like this one appeal to homeowners. 22. 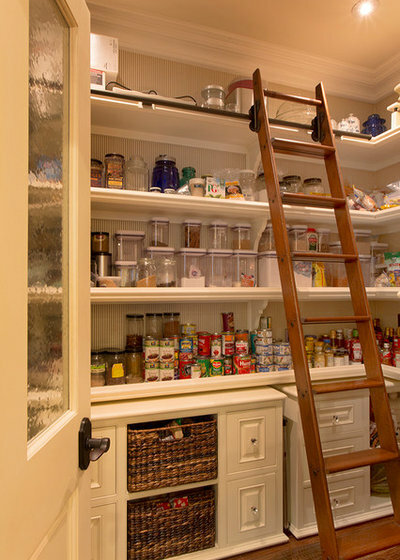 Not far behind is this pantry with a custom rolling ladder for accessing high-placed items with ease. A mix of drawers, cabinets, baskets and shelves turns organizing into an art. 23. “Pretty” doesn’t begin to describe this child’s bedroom. The soft colors, perfectly coordinated fabrics and playful pieces, like a custom lamp filled with pink gumballs, feel in perfect harmony. The room also speaks to what’s possible with a design professional. Interior designer Kristin Peake worked with her clients and their children to customize most of the furniture, fabrics, colors and artwork through trade-only partners. 24. Remind you of a spa? No surprise then that this bathroom photo has made our list. 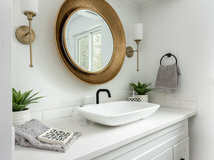 The rich atmosphere stems from natural pebble tiles, Dunn-Edwards’ Almond Latte-Velvet DE6143 wall paint, a giant soaking tub from the Zuma Collection and a custom teak bath tray. 25. Custom-designed furnishings purchased through a talented interior designer fill this popular traditional bedroom. While that’s plenty of elegance to wake up to, what further raises the style here is a custom-designed ceiling detail made from polyurethane. Tell us: Which room is your favorite? I asked and many of her works can be done on stretched canvas.